Inter Services Public Relation Directorate (ISPR) published New job vacancy Notice at www.ispr.gov.bd. ISPR Job Circular offer total 33 New vacancy in this post.JSC Or SSC Student also apply this ISPR govt circular 2017. 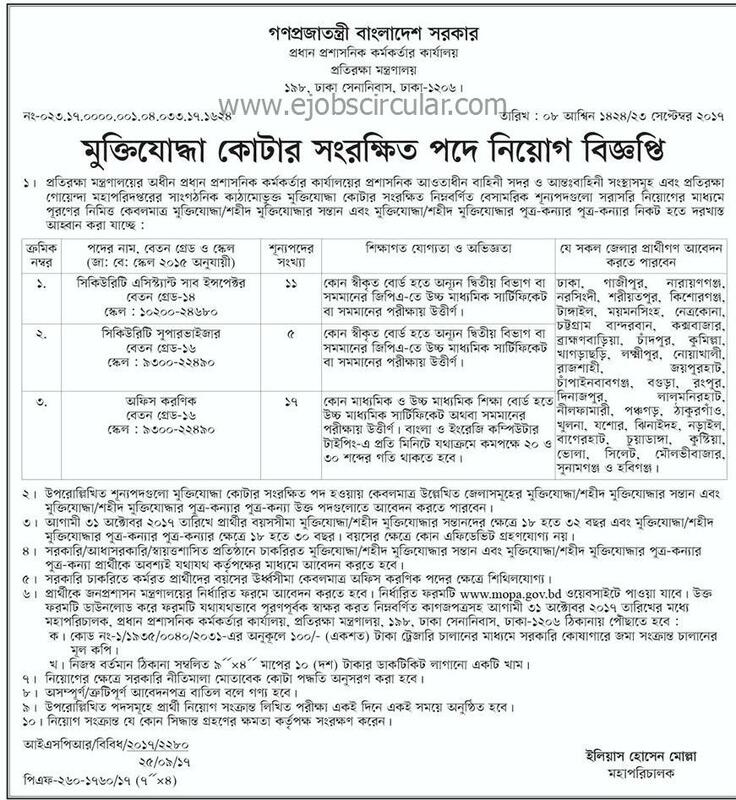 If You want to apply Inter Services Public Relation Directorate (ISPR) Please read this bd circular again.For More updates about Career Opportunity ISPR job circular visit there official website at http://ispr.teletalk.com.bd/www.bari.gov.bd. You can also get all information about this job result and News at ejobscircular.com Thanks for stay visit our website.